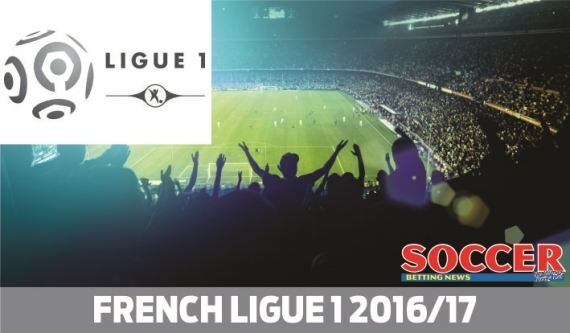 Gameweek 10 of the French Ligue 1 is here with Nice leading the pack by four points. Things are starting to take shape at the top of the French Ligue 1 table with the three title favorites occupying the top three positions. Nice currently sit at the top of the standings on 23 points while PSG and Monaco are four points adrift in second and third respectively. The big boys all have tricky assignments this week with Monaco hosting Montpellier, Nice taking on promising new boys Metz and PSG squaring off with Marseille. Week 10 kicks off with a tie between third-place Monaco and 15th-placed Montpellier. The hosts come into this one off a disappointing 3-1 loss to Toulouse while the visitors travel to the Stade Louis II off the back of a morale-boosting 3-2 win over Caen. The recent head to head results between the two clubs strongly favour Monaco with Les Rouges et Blancs unbeaten in the last five meetings between the two. They have also won three of the last five and are tipped to make that four out of six. Back Monaco to bounce back from last week’s disappointing showing in Toulouse with a victory over Montpellier! Lyon’s topsy-turvy start to the campaign continued last week as they went down to Nice by two goals. The result has seen Lyon drop to eighth spot on the log, three places below this week’s opponents. Guigamp’s solid start to the 2016/17 campaign continued last week as they garnered their fourth victory of the season, beating Lille by a 1-0 scoreline. This is a bit of a tough fixture to call as you just don’t really know what you’re going to get with Lyon at the minute. They have won the last six games between the sides, however, despite my reservations about their current lack of form, I’m going to have to go with the statistics. Get on the Lyon win at 6/10. We move from the Rhone-Alpes region of France to the southwestern France for a clash between Bordeaux and Nancy. The hosts have enjoyed a magnificent start to the season only losing three of their opening nine games while the visitors are in dreadful form and have only won one game thus far. I am not going to go into much detail as I reckon there is only one possible outcome here and that is a Bordeaux win. Get on the straight Bordeaux win at 15/20. Our next port of call is the Stade Jean-Bouin, where Angers will host a Toulouse side who come to town off the back of a morale-boosting 3-1 victory over Monaco. The hosts also enjoyed a positive gameweek 9 as they beat much fancied Bastia 2-1. Toulouse have only lost two games this season and are on somewhat of a hot streak having won four out of their last five fixtures which included victories over big spenders PSG and Monaco. They have also won four of the last five clashes between the two sides which makes the Toulouse straight win at 18/10 a rather solid looking bet. Bastia at 47/10 to beat Lille is the best value you’ll find in Ligue 1 this coming weekend. Yes, Bastia do come into this one off the back of a 2-1 defeat to Angers, but Lille are in wretched form and have only managed to notch up two victories this term. Bastia have won two of the last four games between the sides. They have also managed to score in five of the last six contests between the duo. Lille have also managed to find the net in four out of the last five head to heads. With statistics like that you can’t help but immediately look at the Both Teams to Score Market – Yes - at 15/10. My advice, though, is to get on the Bastia straight win at an incredible 47/10. Our next fixture pits 13th-placed Nantes against seventh-placed Stade Rennais. The hosts come into this one off the back of a 2-1 away victory over Lorient while the visitors played out a 1-1 draw with Bordeaux in gameweek 9. These games tend to be rather feisty affairs with three red cards shown in the last two fixtures. Rennais haven’t lost to Nantes since 2005 making the Double Chance – Draw/Rennes at 6/10 a rather decent looking bet. Saturday closes out with a game between Dijon and Lorient. Both sides currently occupy positions in the bottom four with the visitors sitting 18th and the hosts sitting in 17th. A win for Lorient here would see them draw level on points with Dijon. This is another game that has seen it’s fair share of cards. Dijon have had a man sent off in two of the last three meetings. It’s a tough one to call but I have a feeling Lorient will take the win here. The host for the first of Sunday’s three fixtures ended up on the wrong side of a 3-2 scoreline in gameweek 9. The game once again illustrated their defensive frailties and the three goals they conceded have now pushed their goals against tally up to 17. St. Etienne were involved in a more subdued affair during gameweek 9 as they were held to a 1-1 draw with Dijon. Despite dropping two points, Les Verts remained in the top half of the table. This game certainly promises goals and, as such, I reckon the Totals Over 2.5 goals market is the way to go. Get on it at 5/4. The penultimate game of the weekend sees Metz host table toppers Nice. The hosts have lost their last two fixtures, conceding eight goals. The visitors, on the other hand, come into this one as the only undefeated side left in the league. They have managed to find the back of the net 16 times this season while only conceding five. Metz seem to have gone off the boil in recent weeks and I honestly can’t believe Nice are available at 11/10. Get on the Nice straight win! So we move on from the table toppers to the defending champs with PSG taking on Marseille. The hosts come into this one off back-to-back victories. The visitors may have managed a win last week but they’re unlikely to make it two on the trot as PSG look to have recaptured some of that all-conquering form. As was the case last week, a PSG straight win doesn’t offer heaps of value at 1/4 but should still be stuck in all weekend multiples.